Given the challenges faced by many rural regions, what are prerequisites for effective policy and practice in a rural context? Find out in this chapter of Investing in America’s Workforce: Improving Outcomes for Workers and Employers, “The Rural Dimensions of Workforce Development.” Brian Dabson, a research fellow at the School of Government at the University of North Carolina at Chapel Hill, addresses challenges to achieving economic opportunity in rural regions and the ways in which technology and globalization have affected industries and labor markets. Read the chapter at www.investinwork.org/book and stay tuned for more chapter releases and the book launch on November 9. 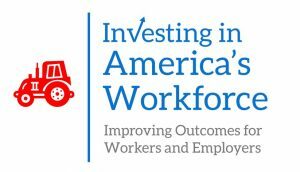 The chapter is part of Investing in America’s Workforce: Improving Outcomes for Workers and Employers, which will be released on November 9, 2018. The book includes the voices of over 100 contributing authors who share research, best practices, and resources on workforce development. The project is a result of a two-and-a-half-year collaboration of the Federal Reserve System, Heldrich Center for Workforce Development at Rutgers University, the Ray Marshall Center at the University of Texas at Austin, and the W.E. Upjohn Institute for Employment Research. See www.investinwork.org for more information on the initiative and the upcoming book release.